Favor de enviar evidencia de matrícula a tiempo completo a info@apeppr.org para completar su registro. Dr. John Kelly has been a school psychologist with the Commack School District in New York since 1986. He has alsotaught in the school psychology graduate programs at St. John’s University and Adelphi University. Beyond John’sprofessional career in the schools and at the University training level, he has been active in local, state, and nationalprofessional associations. He is the chairperson for the School Psychology Committee of the Suffolk County PsychologicalAssociation, Past-President and current Legislative Chair of the New York Association of School Psychologists, member ofthe Executive Board of the New York State Psychological Association, and member of the Board of Directors as StrategicLiaison of the National Association of School Psychologists. 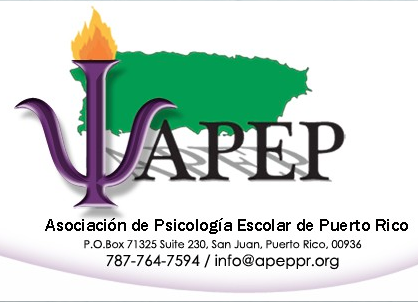 John has had the opportunity to advocate for local, state, andnational issues related to mental health, education, and school psychology, including advocacy in Puerto Rico. He hasprovided expert testimony on several occasions at the state level and participated on a panel briefing regarding children’smental health services in the schools before the U.S. Congress. John is the recipient of the 2001 School Practitioner of theYear Award in New York and was honored by NASP as the 2003 School Psychologist of the Year.